WOSM will participate in the 21th session of the Conference of the Parties (COP21) to the United Nations Framework Convention on Climate Change (UNFCCC) and the 11th session of the Conference of the Parties serving as the Meeting of the Parties to the Kyoto Protocol (CMP11) in Paris, France, from 30 November to 11 December 2015. NSOs are invited to consider participating in this significant event and propose candidates to be WOSM delegates by sending the application form by 30 June 2015. 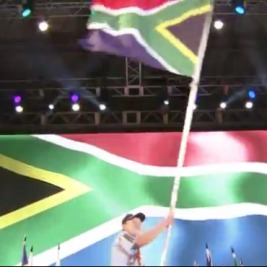 Interested members from SCOUTS South Africa should send an email to info@scouts.org.za before the 27th of June 2015.